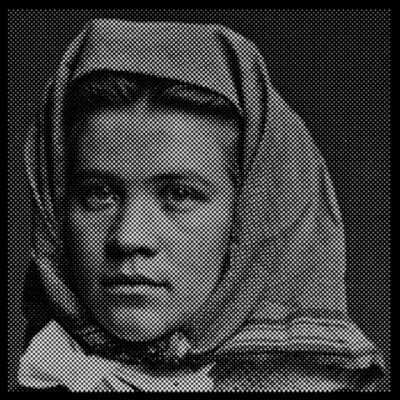 ANNE-KARIN FURUNES (b. 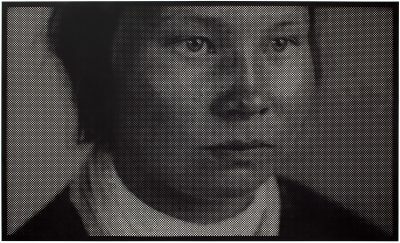 1961, Norway) uses archival photographic images as a starting-point; she creates portraits of once marginalized women, men and children – individuals who have been forgotten or silenced in the history – using only canvas and light as material. 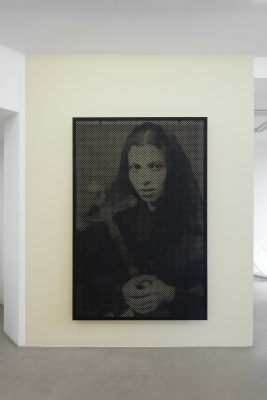 Furunes has developed a signature technique: she perforates a canvas painted with black acrylic with thousands of holes. 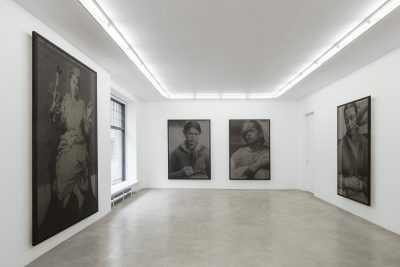 The final portrait lets through varying degrees of light. 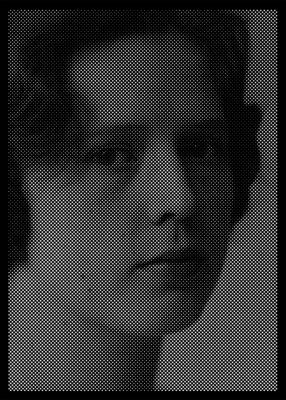 ANNE-KARIN FURUNES (b. 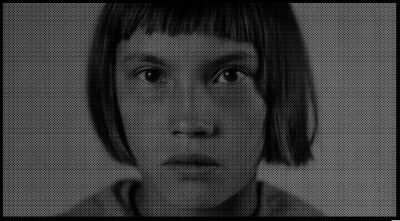 1961, Norway) uses archival photographic images as a starting-point; she creates portraits of once marginalized women, men and children – individuals who have been forgotten or silenced in the history – using only canvas and light as material. 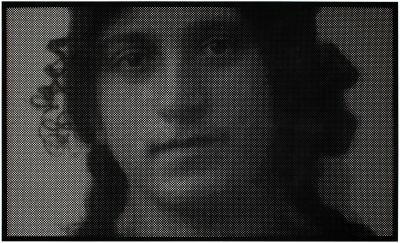 Furunes has developed a signature technique: she perforates canvas painted with black acrylic with thousands of holes. 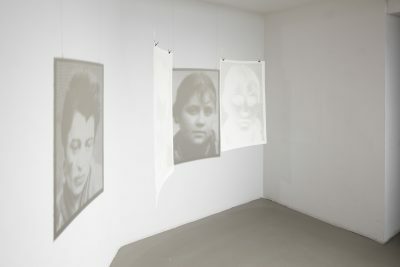 The final portrait lets through varying degrees of light. 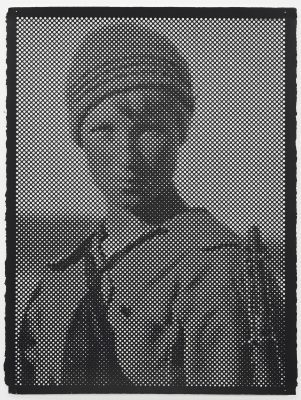 In her new pieces Anna-Karin continues her work with archive materials and marginalised groups. 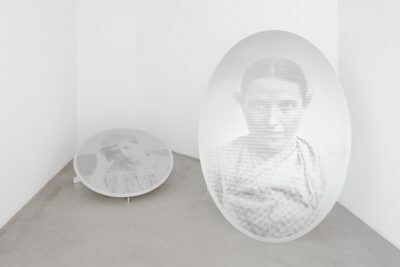 These pieces are mainly based on old archived photographs of the inhabitants of the San Servolo psychiatric sanatorium in Venice and local working-class women. Anne-Karin Furunes concentrates on gestures and the positions of the body. She is interested in minor gestures: how hands are clasped or try to stay still, how fingers press the fabric of clothes. In some of the pieces, she has cropped the face from the image, drawing attention to the positions of the body, tensions and folds of clothing. The body language recorded in the visual documentation of the San Servolo patients is particularly compelling, since we know that they did not pose voluntarily but were ordered to be photographed. 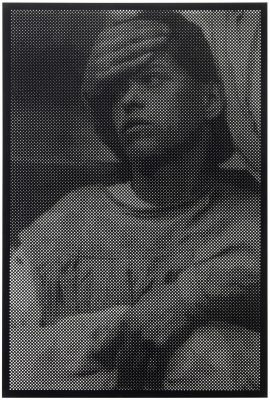 In terms of technique, these works are monochromatic acrylic paintings on canvas perforated by hand by the artist. Working on the pieces by hand is important for Furunes, who describes how slow, meditative time spent with the pieces guides her work. 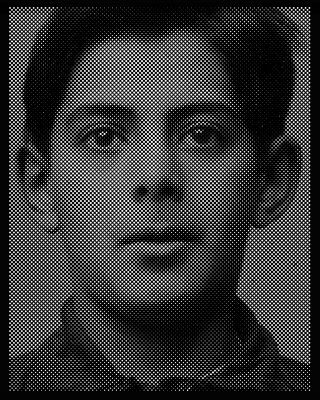 Light filtered through thousands of holes of different size creates photograph-like images changing with the surrounding space and ambient light and disappearing when the viewer comes closer. This changing nature of the works in space, their ‘breathing’ as the artist calls it, is linked to the problematic of depicting the past in Furunes’s thinking. Also in the artist’s new aluminium works the metal surface reflects light and changes according to it. In sunlight it becomes almost mirror-like, making it difficult to perceive the image, while in even and indirect light the image becomes more clearly visible to the viewer. The oval pieces space imitate the shape of the original photographs from the archives and, in Furunes’s thinking, also the human figure.